Cystic fibrosis (CF) is a genetic disorder that is most common in white children and young adults. Long-term survival has improved steadily and will likely increase with the recent introduction of neonatal screening and causative treatment. However, these advances have substantial economic consequences for healthcare systems and payers. This study aims to determine the economic burden of CF and to elucidate the structure of costs and the distribution of resources for different subpopulations, treatment strategies and sites of care for CF in Germany. We conducted an observational cohort study to evaluate the economic burden of CF and the costs of treatment within different CF substrata from a payer perspective. Using claims data from a large German sickness fund, we identify the causal effect of CF on costs, service utilisation, and premature mortality. 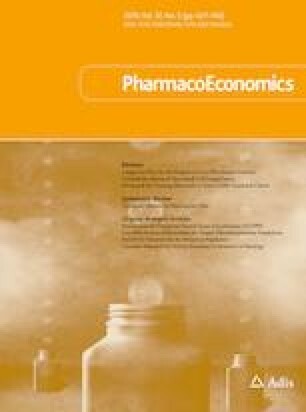 We compare the outcomes of a CF and a control group using entropy balancing and regression techniques, conduct further analyses for the CF group to gain insight into the economic burden associated with different levels of disease severity, and analyse pharmaceutical expenditures by collecting all CF-related expenses on outpatient drug treatment from the sickness fund database. Direct medical costs caused by CF in Germany in 2016 average €17,551 per patient-year and appear to be mainly driven by the cost of outpatient drug prescriptions (€12,869). We estimate that the national burden of disease totals €159 million. Costs increase with disease severity and related complications. If all eligible CF patients in the German population were to receive CF mutation-specific drugs, the economic burden of disease would more than triple to €594 million. CF has a constant and wide-ranging economic impact on payers, with considerable differences in the distribution of costs and service utilisation between younger and older patients as well as mild vs. severe patients. Pharmaceutical expenses will increase in the future as causative treatment gains importance. We encourage the use of a control group approach for burden-of-disease studies to be able to identify causal effects and thus to obtain more precise estimates. S. Frey, T. Stargardt, U. Schneider and J. Schreyögg declare they have no conflict of interest relevant to this study. SF and US had complete access to the pseudonymised study dataset and were responsible for data collection. SF, TS, and JS designed the study. SF analysed the data and was responsible for statistical programming. SF and TS prepared the first draft, and JS and US revised the manuscript. All authors approved the final manuscript. The data that support the findings of this study are owned by the Techniker Krankenkasse (Bramfelder Straße 140, 22305 Hamburg, Germany) and so are not publicly available. To fulfil the legal requirements to access the data, researchers must obtain permission for a specific research question from the German Federal (Social) Insurance Office and conclude a contract with the sickness fund. The study must also be approved by the data protection officer, both at the sickness fund and the research institute, as well as the local ethics committee. Wietrychowski R. Qualitätssicherung mukoviszidose. 2012. 2012. https://www.muko.info/fileadmin/user_upload/angebote/qualitaetsmanagement/register/berichtsbaende/qualitaetssicherung_mukoviszidose_2012.pdf. Accessed 13 Dec 2018. Institute for Quality and Efficiency in Health Care (IQWiG). Working paper: cost estimation. 2009. https://www.iqwig.de/download/Working_Paper_Cost_Estimation.pdf. Accessed 13 Dec 2018.